If people already know about you or they are already your customers, they might type your name or the name of your business on search engines. You could place a number of paid ads for traffic, but that could lead to high advertising costs, depending on your location and industry. You could also buy an email list, blast them and hope someone opens and clicks on your links. Oh wait, you can’t. Why? Simply because that’s illegal! Now, how are you going to drive any traffic? Blogs, of course! This is how it works. When you blog, you add one more index page to your website. That is one more opportunity to have your name show up in organic searches. This means you get more chances of being visited! Blogs are often shared on social media. You know what that means? A wider social reach for you! That is how blogs drive traffic to your website. Now that you have driven some traffic to your site, how do they see you? You don’t want to just attract your audience; you want to keep them! How do you engage visitors so they’ll stay on your site longer and visit more often? You provide them with interesting and helpful articles through blogs. When you regularly write blogs that answer common questions about your industry, people who visit your site will see you as an authority. Will they get the service from someone whose site is empty and doesn’t seem to know anything about what they’re doing? No. They will prefer the authority on the industry, and with the number and quality of blogs you’re going to do after this, that is going to be YOU. For how long will your blogs do this for you? Forever. Yes. As long as there are people looking for “how to…” articles and other instructional reads, your chances of getting clicked are still growing. So you can pause for a while and get a breather. Let your blogs do their magic for you. 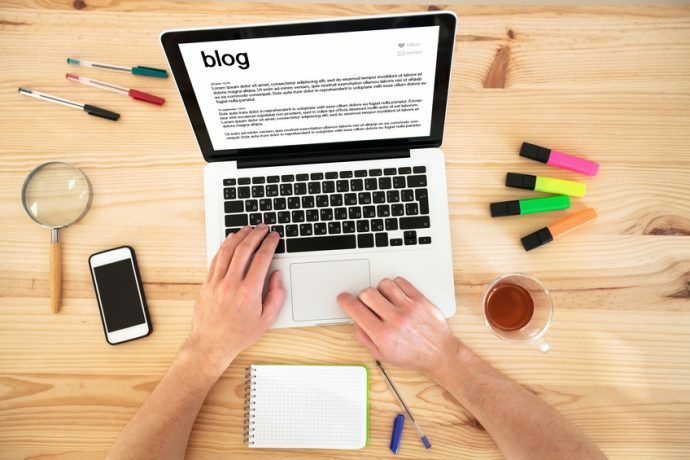 These are only some of the reasons why you need blogs for your business to be successful online. In addition to these, your blogs allow bigger opportunities for you to generate more leads. That’s something you’ll find out more about as you go along. In the meantime, we believe you’ve got enough reasons to start blogging for your business now, right? This entry was posted in Blogging and tagged Blogging,Blogging Tips,blogging trends,Blogs on May 30, 2016 by ReferLinks Online Marketing.